I totally understand why water restrictions occur and the advantages of having them, but as a garden designer and horticulturist I struggle. I feel that everyone that wants a small patch of lawn, should be able to have one and water it. The collective coolness our trees and green landscapes provide to our cities way outweighs the disadvantages. That said, beautiful lawns do not come naturally. But it does not need to be a labour-intensive bore either. The old theory for lawns is to water early and/or late to avoid excessive evaporation. The new theory, contrary to popular belief, is to water your lawn in the middle of the day. This information is based on the fact that your lawn on a stinking hot summers day gets just as hot as you do and it relishes a cool watering. A common belief is that you will burn your grass, but this idea has been snuffed by professional turf growers who are happy to leave their irrigators on all day with great results. When your grass appears dull and grey-blue in colour, it needs watering. Also leaves start to fold, rather than standing upright. Over-watering is also a problem and can lead to mould and fungal problems, so it’s important to get to know your grass. Keeping your lawn looking good all year requires you to have some understanding of what it needs each season. In spring your lawn will thrive with some aeration. This can be done with a fork, special spiked shoes or a mechanical roller with spikes. This provides a small puncture below the soil surface to allow the soil to breathe, in turn providing access for water and fertiliser to the roots. 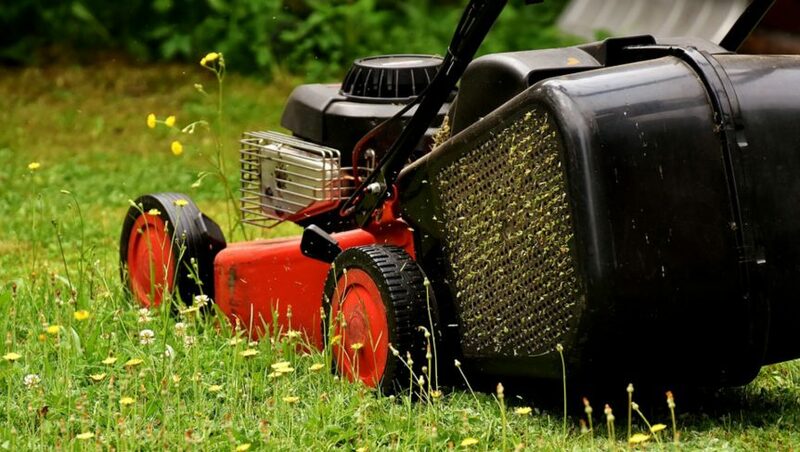 During the growing season your lawn will require mowing once a week. To turn your lawn into a lovely thick, dense patch it is important to only take the top tip off your grass. This encourages your grass to grow out rather than up, creating a nice green consistent coverage. In winter, the growth of your lawns slows and becomes dormant and will likely be brown. There is very little need for mowing during this time, unless a few unruly patches appear, which you would mow only for cosmetic reasons. Fertiliser in spring and autumn is essential as lawn is a nutrient-hungry plant. The autumn feed will ensure your lawn goes to bed for the winter in a healthy condition. Spring fertiliser will encourage growth and a dark green colour. Grubs can wipe out a lawn very quickly; magpies regularly on your lawn or brown spots are a fairly good sign you have grubs. Spray the whole lawn with the appropriate pesticide at the first sign and spray again a week later to control any eggs the grubs may have laid. Providing some kind of wind break in the form of trees or a hedge for your lawn can also reduce strong winds and evaporation, keeping it green and damp longer. So as the weather attempts to promise us some cooler days and hopefully more good soaking rain, give your lawn a little extra love and it will reward you a lush green space.